Description: ERMES Restaurant in Paestum is among the best known and appreciated the local entrepreneurs from the area, gourmets, tourists and loyal customers for specialties' fish; with its delicious menu of extraordinary traditional cuisine and national Salerno. It is a perfect location for your social events, private meetings by candlelight, business meetings, anniversaries and parties. 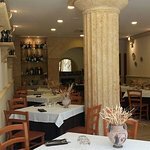 The restaurant welcomes you with great warmth and kindness in his equipped and local hospitality, sure to be able to give an emotion unique and unrepeatable gastronomic; service and courtesy are always impeccable and imitate a cozy and comfortable. It is famous for its dishes based on fish, where its chef expresses a class and sublime skill that will win you over at first taste. 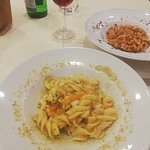 Awaits, preferably with reservation, every day except Monday, Capaccio Paestum Via Della Repubblica, 126 in the province of Salerno, adjoining the restaurant an inn with 6 rooms. It was well worth the return as Mario and his wife (whose name I did not catch) produce a culinary experience rather than a meal. 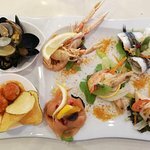 Fish is a must and it is all fresh starting with a delicious and abundant antipasta. 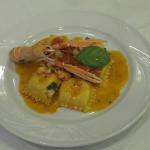 The pasta dishes are all unusual and perfectly prepared. Good wines to accompany ones meal. One needs to be patient as service is not rapid but it's well worth the wait and understandable as everything is prepared at the moment for each customer. As I said, it's a culinary experience to fill one's evening and not simply a "meal out". It's not a big place so book if you don't want to risk disappointment. 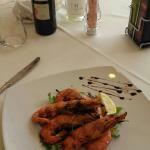 Read about Ermes on Tripadvisor while in Paestum. Went for lunch, fortunately. At night there is reservation only dinner. Small, popular place. We both ate calamari, fried, and salad. 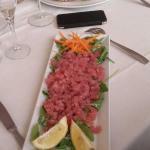 Best calamari we ate in Italy. Owner was super nice and talked to us and welcomed us warmly. We arrived without a reservation and were warmly greeted by the owner. There is no menu, so you get catch of the day (fish and seafood, pasta). Food was authentic, simple and fresh. 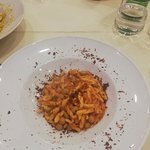 If you like a quiet meal, this may not be for you, as the owner very much tries to engage you in conversation whether you speak Italian or not, but we liked it and it made us feel welcome. We arrived late at 9.50pm, just 10 minutes before the door was locked, but the owner was extremely accommodating and let us in. The is no menu but he explained what he could give to us and the dishes he described sounded great. We also got a welcome drink and he made us feel very welcome. The food is wonderful - no other word to describe it. It is a fish restaurant in the main. Although the desserts looked fantastic too, we were too full to eat anything else. I can thoroughly recommend this restaurant. Unmissable if you are in the area! 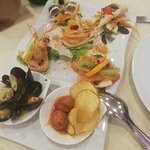 Absolutely delicious seafood, tasty desserts, lovely local (inexpensive) wines, great environment, eccentric but massively friendly staff and moderately priced overall. What more do you need to know? 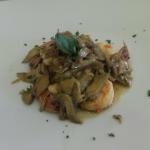 Been to ERMES Locanda? Share your experiences!